On the business end, you'll see the 22" DTA factory 308win barrel protruding ever so slightly from the end of the SRS-A1 handguard. The knurled thread protector has a smaller knurling than previous barrels we've received. I think I prefer the bolt look of the old one better. As I always run a suppressor, it's hardly an issue, but you're here for the details and you're going to get them! 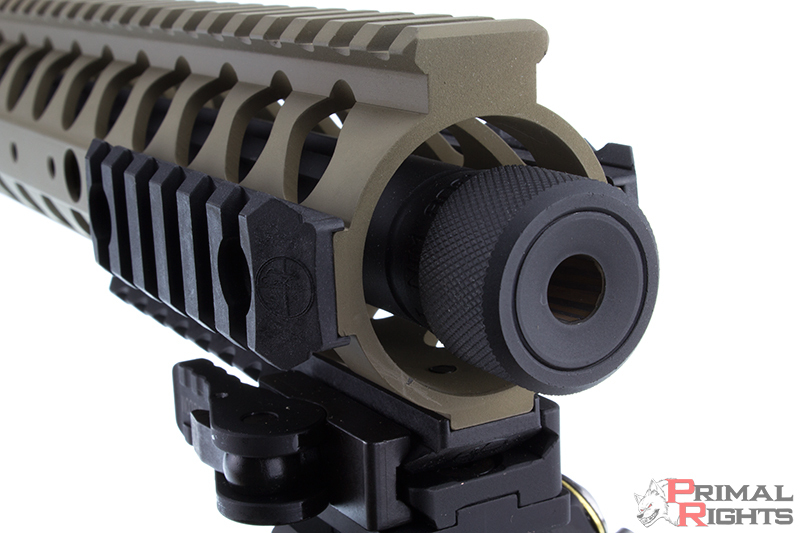 The round modular handguard is milled to accept DTA's proprietary rail sections. They use a tongue-and-groove type interface. The rail sections themselves appear to be plastic. 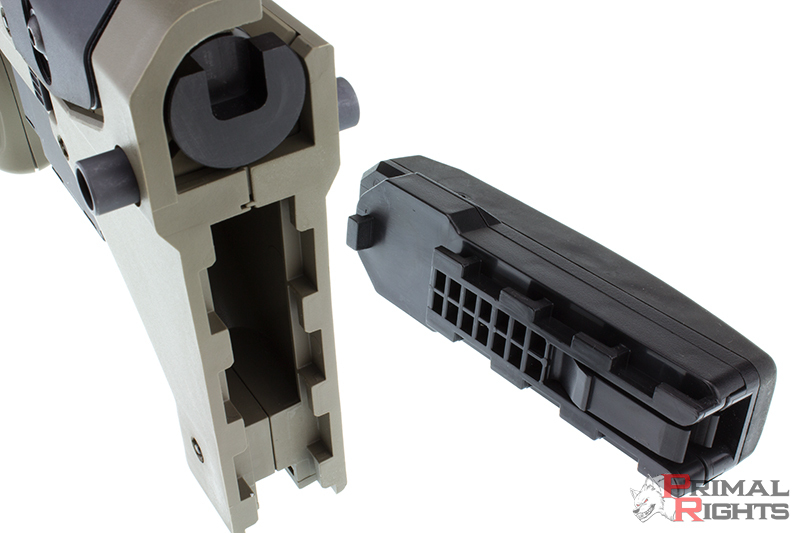 It's a very strong plastic, such as that you'd find in Magpul products. Obviously this was a move to reduce costs and keep the rail sections cheap, while ensuring a steady supply of them. A molded part like this is always going to be faster to produce than having to machine them. I don't think these will cause anyone any problems. 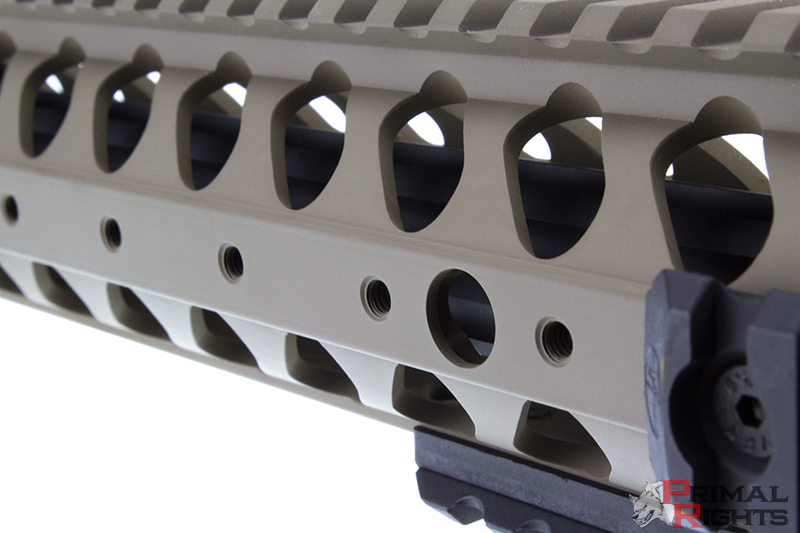 If you'll look directly under the barrel inside the handguard about half and inch, you'll see one of the screws which attaches a rail section to the handguard. It protrudes less than 1/16" so large diameter barrels or skinny integral suppressors will still be able to be used with this handguard. 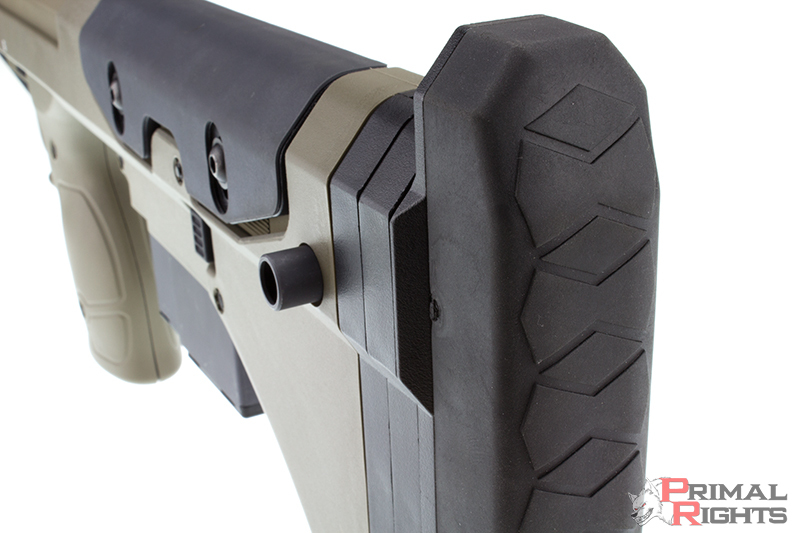 The handguard still incorporates integral non-rotating flush cups on both sides. So those of you running TAB Gear or other slings with flush swivels will be able to click right in just as before. The non-rotation feature will keep your sling from tangling you up like a python. 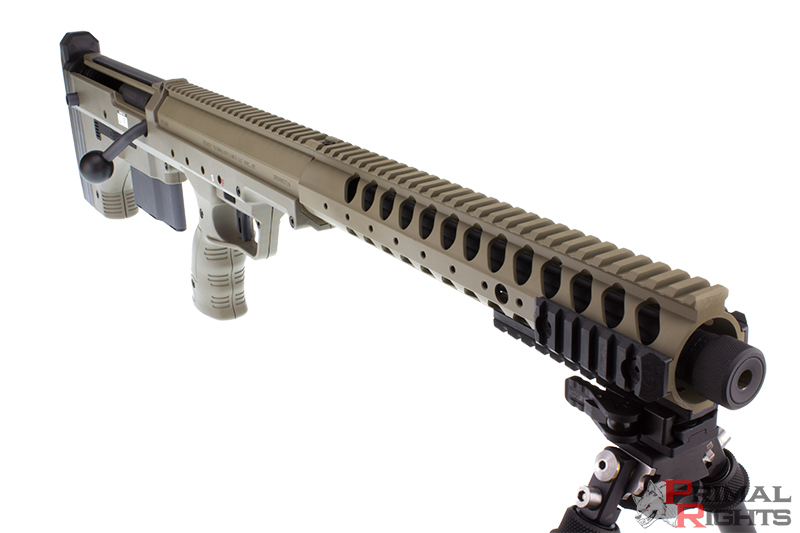 You'll notice that the handguard is drilled and tapped for rail sections along the sides and bottom. So you can get rail where you need it, and keep things smooth and light where you don't. The safety selector no longer has a bump sticking out. Instead it's flush, flat, and serrated. You definitely won't be moving it by accident. 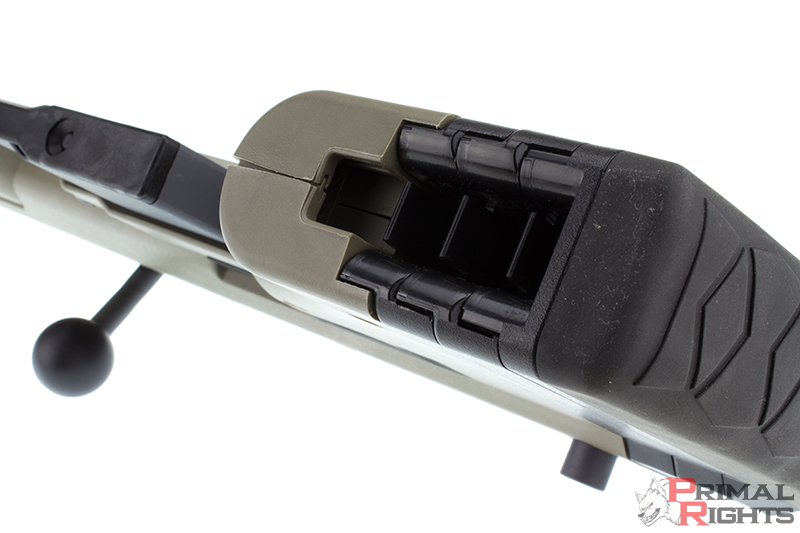 It's still fully ambidextrous, and the trigger shoe is still independently adjustable for perfect trigger ergonomics. Not much new to report on the right rear. The ambidextrous mag release has some serrations. It's a nice touch. The rest of the right side is pretty much unchanged. The adjustable cheek is movable by loosening the two screws shown here, moving, and tightening them back down. You don't need to worry about going gorilla tight on them either, because if you look closely you'll see the chassis is serrated underneath to accommodate the different cheek heights. Once you set this to your desired height, you can pretty much forget about it unless you change optics. 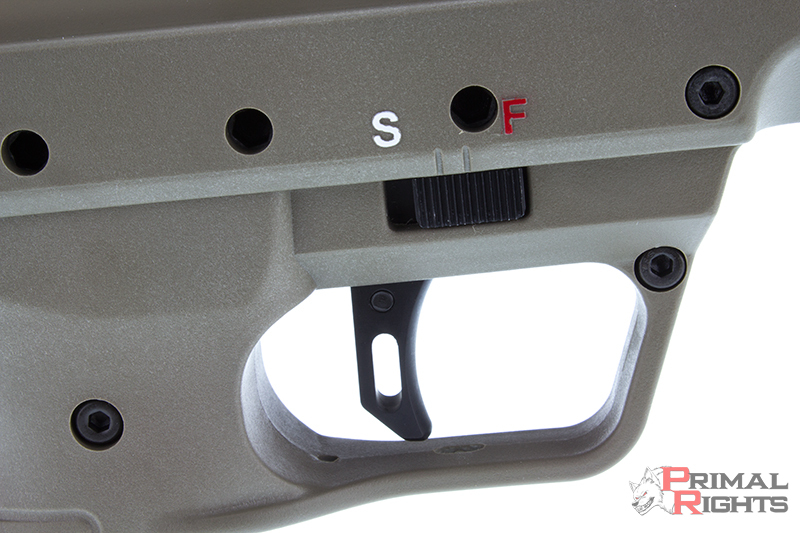 It's easy to adjust, and unlike traditional bolt rifles, you never have to move it when you clean the SRS-A1. The cheek rest is covered with a tacky material that will still allow a firm cheek weld on even the sweatiest of faces. You'll also see the other side of the ambidextrous mag release. The soft recoil pad. Every human being that has spent serious time behind a DTA with a 338LM conversion in has been begging for this feature since the first SRS's came into the wild. Finally, our prayers have been answered. This recoil pad is what it should have always been. Just the right amount of give, yet solid enough to ensure that you'll be able to accurately drive the rifle through the recoil impulse. I touched off a few rounds of 338LM with this new pad, and it is fantastic. Soaks it right up. Before, after 50rnds of 338, I was pretty well done shooting. Now, I feel like I could shoot it all day. Thanks DTA! They completely changed how the recoil pad is removed from the rifle as well. Previously, there was a little lever that was pushed, or if you had a monopod, there was a button that was pressed in order to remove the recoil pad. 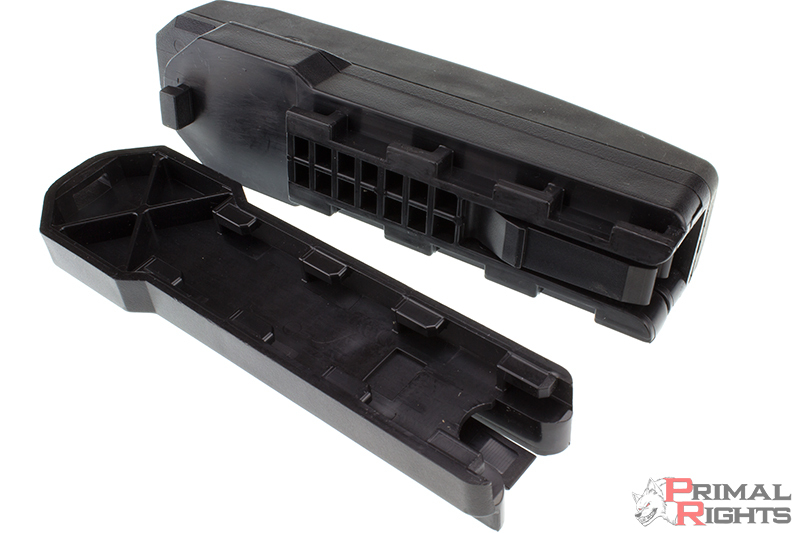 Now, they have a fully integral lever design which makes the recoil pad spacers completely modular. No more long cap screws and having to dremel them off if you ran a monopod with no spacers. No more annoying buttons or difficult to actuate levers. Now, the spacers and recoil pad can be added or removed effortlessly in seconds. 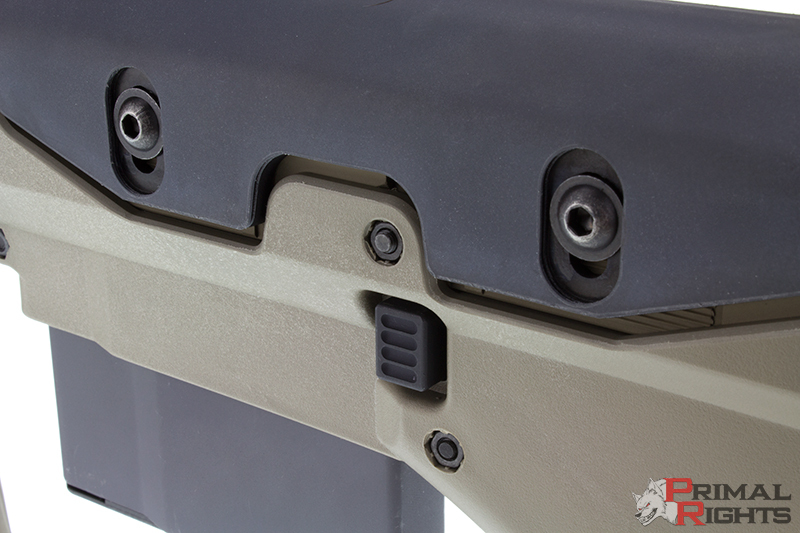 The short action conversions come with a little bolt spacer that plugs into the rear of the rifle. You can see it below top-left. The new ones have a notch cut out of them to accomodate a lip on the front of the recoil pad and spacers. That lip is designed to grab underneath the skins up top to ensure that no cantilever forces can try to rip the recoil pad off. Some users had done this previously, which tore the little ears off the recoil pad. Impressive engineering and ingenuity, just as we've all come expect and love from DTA! Lastly, you can see how the modular recoil pad spacers fit into each other. Another very intuitive and welcome design feature. Well there you have it. 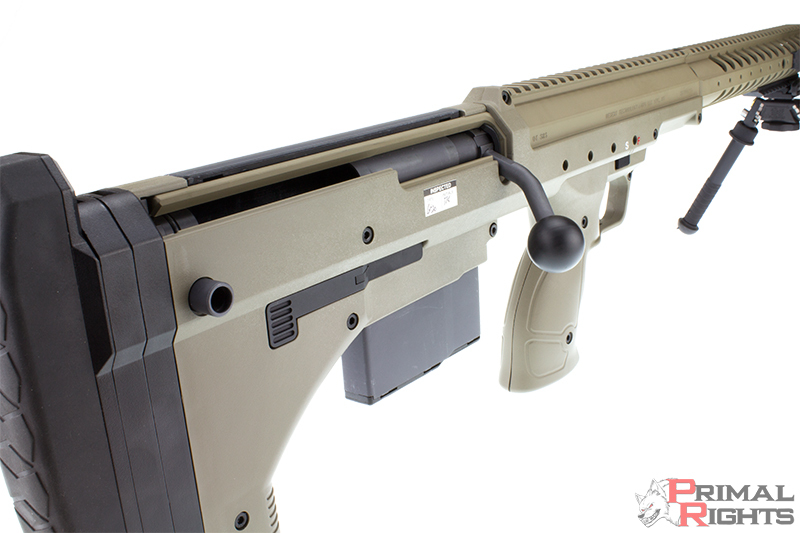 The SRS-A1 from Desert Tactical Arms is a tremendous upgrade from the original SRS, and a continuing testimony to the dedication and outstanding talent possessed by DTA. The A1 chassis was a long time coming, and the back-order list is still quite long, but if what we're seeing here is any indication, that situation won't last for long. These rifles just keep getting better, and DTA just keeps making them faster. Primal Rights is a premier-level Desert Tactical Arms dealer, and the South Dakota area's only DTA dealer. So if you would like to talk about purchasing a DTA SRS or any other DTA item, we would be glad to help you. Just give us a call at 605-554-1911, send us an email: sales@primalrights.com, or PM "Orkan" on the Primal Rights forum.